It’s a little weird here on the homestead. Yesterday Jeff and I walked through the woods to check out the deadfall from the high winds we had a few days ago. Lots of trees that will hopefully be turned into fire wood. I looked for signs of spring and saw a few little green leaves popping up through the decayed vegetation on the ground. I thought about the black caps and wondered if we’d get a good harvest. I daydreamed about getting some baby goats. We’re up to seven chicks now. One appears to have a prolapse so we may need to put that one down, and by “we” I mean Jeff. Because I’m a wimp. I’m hoping for some ducklings soon, too. Jeff has the brooder all set up in the barn ready to grow some babies. Which just seems weird when I look at Snowmageddon out the window. I shouldn’t complain. 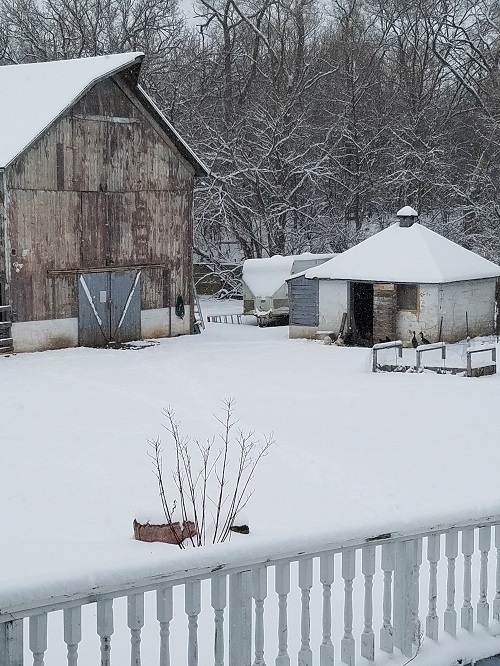 We had a mild winter. Yet, I am so ready for spring. Next week I’ll start some seeds for the Equinox and that will make things better. Winter, even though mild, has certainly gotten to me this year. I’ve been overwhelmed by depression, not only because of the darkness of this time of year, but also due to a few stressful events that hit me pretty hard. I ended up in a flare (stress and Fibromyalgia do not get along well) that lasted two months, and started having major panic attacks. Heart palpitations, chest pains, short of breath, the whole works. Even though I felt like I was dying I knew it was “just stress”, making this the Darkest winter I’ve had in a long time. In a moment of panic (ha! but seriously) I messaged my doctor and she told me to come in asap. After looking at the medications my doctor offered me, I decided I’d be wise to go a more natural route (much to the relief of my husband). I have a tincture started, but it will take a few weeks before it’s ready to use. In the meantime, I’m making a tea with SJW, lemon balm and lavender. Why take drugs when Nature offers a solution? Keep in mind, St. John’s wort can interact with medications, so if you are taking meds for depression, anxiety or other conditions, discuss SJW with your doctor. The University of Maryland Medical Center says there is a possibility of interactions if SJW is taken with antidepressants, antihistamines, immunosuppresant drugs and others, so do your research. I’m also using essential oils to get back on track. 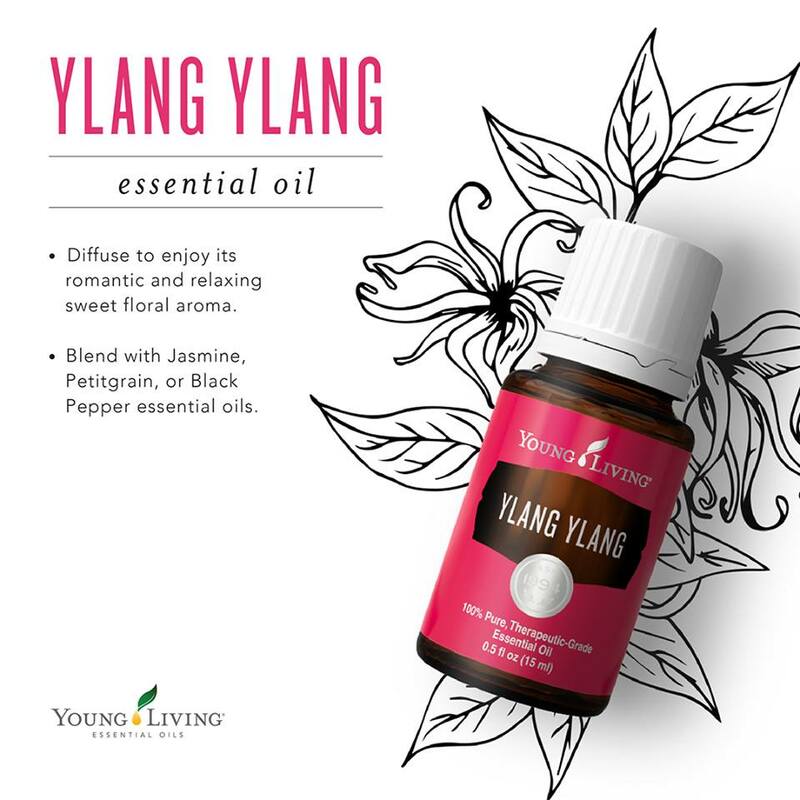 According to the Reference Guide for Essential Oils, you should put five drops of Joy in your non-dominant hand, stir clockwise three times with your dominant hand and apply over the heart. Don’t ask me why. It sounded weird to me too, but I’m also the person who did a release ritual with the full moon last night, so who am I to argue? 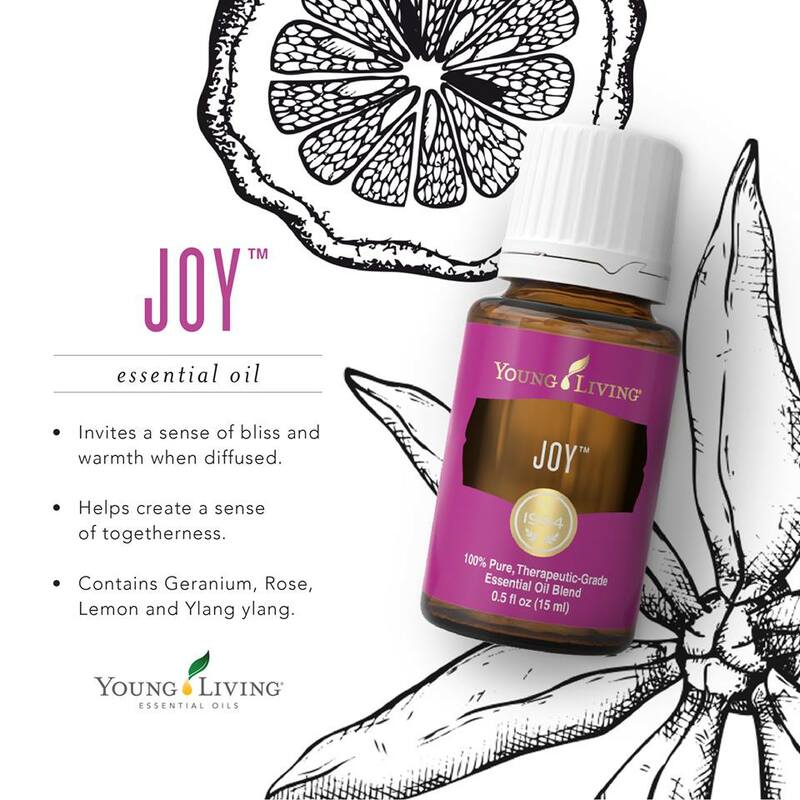 Other helpful oils include frankincense, lavender, lemon and ylang ylang (which is in Joy) and several others. These oils can be used aromatically or topically. If you use them topically you may want to dilute them with a carrier oil (I haven’t done that with the oils I’ve been using but if your skin is sensitive you should use caution). Happily, after two days of oils and herbs, the panic attacks are gone. Completely. After TWO MONTHS! So yay Nature. This is why I love you. It won’t be long before warm weather is here and the sun is shining. We’ll have a busy farmyard with new critters, the garden will be started and my mood will be just as bright as the sunny mornings. ← Naturally Healthy Fruit Trees — Do the Work Now!